TACA Board met at Square One Studios on Sunday 2 December 2018. The newly elected Board met for the last meeting of the year with a new mix of returning and fresh new Directors elected at the AGM. The 2018 trial was very successful. They meet our strategic plan to be national, to connect with TACA members around the country and to share information about TACA’s membership services and The JAC. Our aim is for the Editor and one TACA Board member to attend and we are finalising our locations for 2019, with the April launch in Hobart during the Triennale. 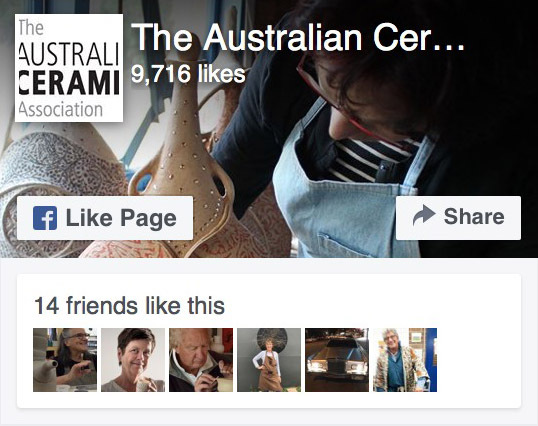 With the successful pilot program of Australian Ceramics Online Masterclasses this year we will invest the surplus into a second series. We will employ a Project Manager and videographer to work with artists from a specific region as logistically this works best. High profile, prestigious artists will be invited. We were very pleased to receive a number of expressions of interest for holding the Australian Ceramics Triennale 2022. A decision will be made in the first part of 2019. The dates for Australian Ceramics Open Studios 2019 are confirmed as 17 & 18 August 2019 and a national ACOS MAP 2019 is planned. TACA supported graduating students with TAFE & University awards at graduate openings nationally. TACA Annual Membership Fees will increase on 1 January 2019. Membership (no insurance) is currently $120 and will increase $15 to $135. Membership with insurance $10M is currently $250 and will increase $20 to $270. Membership with insurance $20M is currently $270 and will increase $20 to $290. Student membership remains at $80. The main reason for the increase is increases in postage (Journal and other mail) and administrative costs to provide membership services. The Group Liability Insurance charge has remained the same since 2013 and the increase is due to rising operational costs. The Strategic Planning Day for TACA Board will be held on Saturday 23 February 2019 at Lou McCallum’s place, using the services of a facilitator. 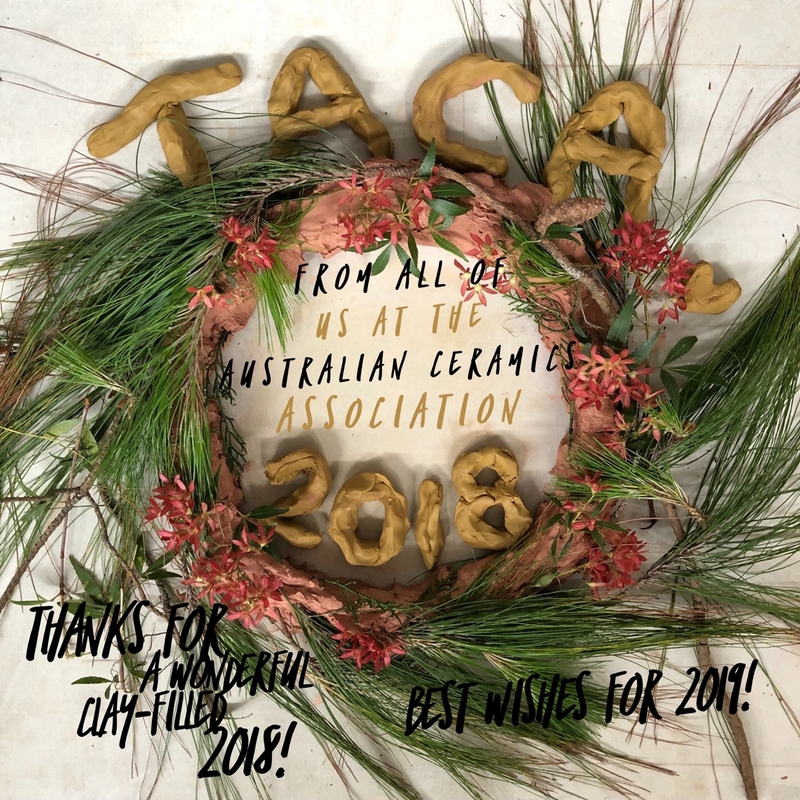 The next TACA Board Meeting is on 22 February 2019 at Lou McCallum’s place on the NSW South coast. TACA Board enjoyed Xmas drinks with staff, contractors and contributors after the meeting. Seasons Greetings to all our members and may you have a safe, relaxing and fruitful summer. Daisy Cooper, Lauren Covey, Sally Edwards, Angela M Greening, Kelly DiscePati, Jess Lyons, Nicole Johnson, Pattie Beerens, Catherine Stainton, Eda Blank, Madeline Crosthwaite (King), Anne Kwasner, Alison Brown, Julie Ayton, Janet Hummerston, Claire Gorst, Marlene Flanagan, Nina Field, Perla Escalon, Drina Thomson, Myan Phamtran, Sandra Albin, Deanne Parker, Stephen Bird and Christiane Weissbach-Berger. TACA’s next Annual General Meeting will be held in September/October 2019.